The Dow Jones Industrial Average is ticking higher this morning as investors eye the critical psychological barrier of 20,000 for the index. 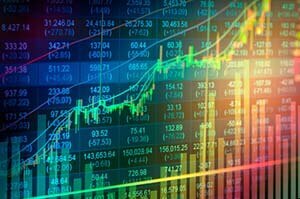 On Tuesday, the Dow rallied again – adding 91 points – and continued to close in on 20,000 thanks to a strong surge in consumer discretionary stocks. Banking stocks continued to push higher thanks to increased expectations of future interest rate hikes and potential deregulation by President-elect Donald Trump and a Republican-led Congress. The Dow projected a nine-point gain as investors continue to eye the possibility of Dow 20,000 in the day ahead. The Dow has experienced 17 record closes since President-elect Donald Trump won the election. It'll be a busy day for the housing sector as investors weigh the November existing home sales report. Economists anticipate that home sales will have fallen by 1.0%, according to Reuters. Despite the downturn, investors should know that the downturn has largely been driven by a decline in available inventory, not the unwillingness of homebuyers to make a purchase. However, with interest rates on the rise, some are concerned about a potential slowdown in the housing market in the year ahead. In international news, the nation of India is moving up the ranks in terms of economic strength. The second most populous nation on earth now has the world's sixth-largest economy after it surpassed the United Kingdom. The country now trails – in order — the United States, China, Japan, Germany and France. It was last year that Money Morning told investors how to invest in India and tap into the country's growth. Some of those investments included strong 2016 performers like: Apple Inc. (Nasdaq: AAPL), Boeing Co. (NYSE: BA), Tata Motors Ltd. (NYSE ADR: TTM), and Becton, Dickinson and Co. (NYSE: BDX). 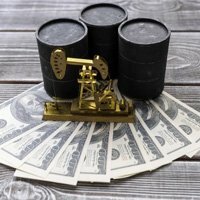 Crude oil prices were on the rise as investors watch a weekly inventory report from the Energy Information Administration. Analysts anticipate that crude stocks in the United States slipped last week. The WTI crude oil price today added 0.4%. Meanwhile, Brent crude gained 0.3%. A rising U.S. dollar has put additional pressure on gold prices. This morning, an ounce of the yellow metal was gaining slightly after the U.S. dollar fell from a 14-year high. So what is ahead for gold prices? Money Morning Resource Specialist Peter Krauth has an ambitious yet attainable 2017 gold price prediction. And you could make 10%, 20%, and even more if you read his latest insight on gold prices. Check it out, right here. On Monday, President Barack Obama issued a record number of clemencies to imprisoned Americans. The latest round of President Obama pardons granted clemency to a total of 231 individuals, the largest single act of absolution in one day during his entire eight-year tenure. Here is a breakdown of those pardons and what it means to his legacy. But the big news today is what is happening with the retirement age in the U.S. Right now, the age to retire in the United States is 65, but a lot more can change. A new plan by Washington could deplete your Social Security benefits faster than ever. Here's the plan and what it means to your retirement should Congress enact it in the coming months. In earnings news, shares of Nike Inc. (NYSE: NKE) added more than 1.8% after the company topped Wall Street earnings estimates of $0.43 and $8.09 billion in revenue. The firm reported an EPS of $0.50 on top of $8.18 billion. Meanwhile, shares of FedEx Corp. (NYSE: FDX) fell more than 3.3% after the company fell short of Wall Street earnings expectations. The company reported an earnings per share figure (EPS) of $2.80 on top of $14.9 billion in revenue. Wall Street analysts had expected the shipping giant to report roughly an EPS of $2.90 on $14.9 billion in revenue. During a conference call after the bell, the firm's executive team raised some concerns about its future outlook due to the incoming Trump administration. The firm's CFO said he was optimistic about tax reform, but the firm's leaders are concerned that Trump's trade policies could impact the firm's bottom line. On the earnings side, look for additional quarterly reports from Micron Technology Inc. (Nasdaq: MU), Red Hat Inc. (NYSE: RHT), Bed Bath & Beyond (Nasdaq: BBRY), Accenture Plc. (NYSE: ACN), Finish Line Inc. (Nasdaq: FINL), Paychex Inc. (Nasdaq: PAYX), Lindsay Corp. (NYSE: LNN).